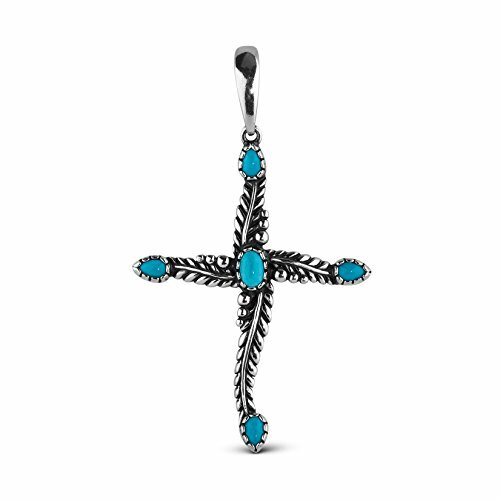 This cross pendant is a perfect addition to your western wardrobe! Beautifully oxidized sterling silver is accented with five oval Sleeping Beauty turquoise cabochons, one at each end of the cross and one adorning the center. Featuring a hinged bail, this enhancer is the perfect addition to your favorite necklace. Beautifully oxidized sterling silver is accented with five oval Sleeping Beauty turquoise cabochons.